A arched railway bridge in Withington supports the old track bed of an abandoned branch line. The railway passes over a right of way footpath. The original arch was found in a state of near collapse and a danger to the public. 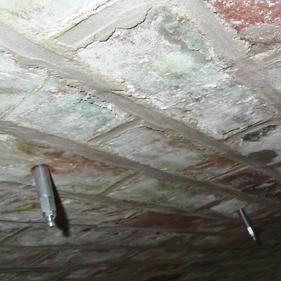 Our arch specialists determined that with careful temporary propping, removal of the most unstable section of the outer ring of the barrel, the remainder could be pinned back and strengthened using Helifix Cemties. Once stabilised the missing sections of ring could be re-cased and pinned into position using a combination of Helifix Cemties and ResiTies. The old arch was fully repointed in heritage lime mortar and then drilled at regular centres in order to carry out interstitial grouting. Normet TAM PUR150 was pumped into the arch through the injection points to fill all the gaps and areas of washed out mortar and provide the arch with a water control capability. 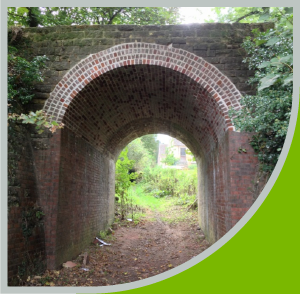 Our solution not only saved the original arch but reduced both the project period and the overall refurbishment cost to the client by at least 50%. 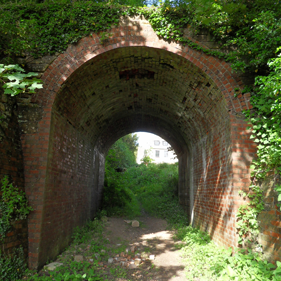 Although no longer in use as a railway arch, this bridge in Oxfordshire spanned a public footpath and was becoming dangerous. We pinned and strengthened the bridge using Helifix CemTies and ResiTies together with interstitial grouting with TamPUR150 to prevent water migration. 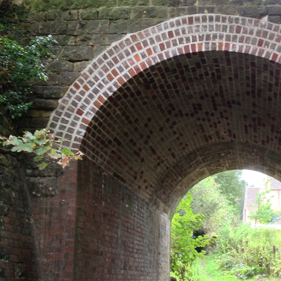 The completed railway arch restoration in Oxfordshire is now safe and fully restored.